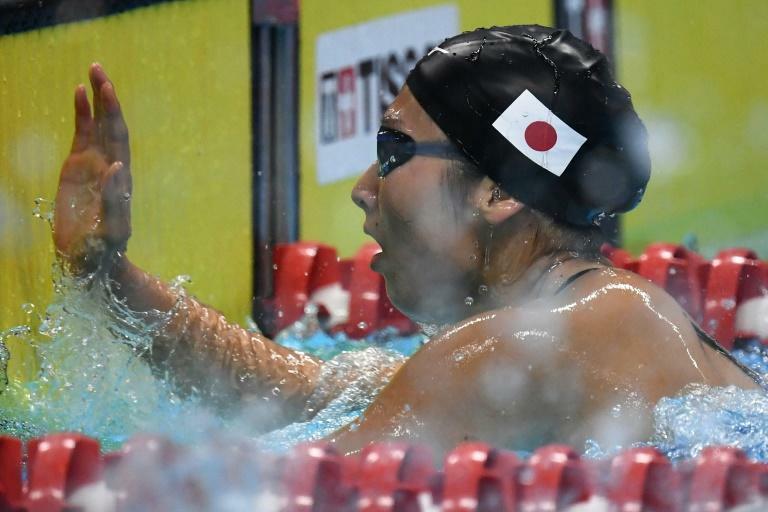 Japan's break-out teenage swim star Rikako Ikee grabbed a record sixth gold medal at the Asian Games on Friday as a wrestler's failed drug test put his sport under pressure. Ikee, 18, edged China's backstroke world-record breaker Liu Xiang to win the 50m freestyle and become the first woman in any sport to scoop six titles at a single Asian Games. Afterwards Ikee, set to be the face of the 2020 Olympics in her native Tokyo, shed a few tears on the pool deck after her gritty, fingertip win. "The last few minutes hurt but I was just focusing on the touch and luckily I hung on. I used pretty much every last drop of energy," she said. Chinese colossus Sun Yang won the men's 1,500m for the third straight Games, almost half-a-minute outside his own world record, to add to his 200m, 400m and 800m freestyle titles in Jakarta. However, the meet was hit by controversy when South Korea demanded an investigation into China's Duo Shen, saying she kicked breaststroker Kim Hye-jin twice after an altercation in the training pool. Earlier, wrestler Rustem Nazarov was kicked out for failing a pre-tournament drugs test, becoming the Games' first doping casualty -- days after the Olympic Council of Asia threatened to expel the worst-offending sports. Turkmenistan's Nazarov, 24, tested positive for the banned masking agent furosemide. On Monday, the OCA's president Sheikh Ahmad al-Fahad al-Sabah said sports with the highest number of doping cases in recent Games could face punishment, including expulsion. Separately, Indonesia's men's football hopes died when they were ousted on penalties by UAE in the last 16, after the teams were locked at 2-2 after extra time. China grabbed two final gymnastics golds through Chen Yile in the women's balance beam and Zou Jingyuan in the men's parallel bars. But there was bitter disappointment for India's Dipa Karmakar, who admitted she failed to perform as she left the competition empty-handed. "I didn't do my best," said Karmakar, who last month bagged India's first-ever gold medal in a global gymnastic event. 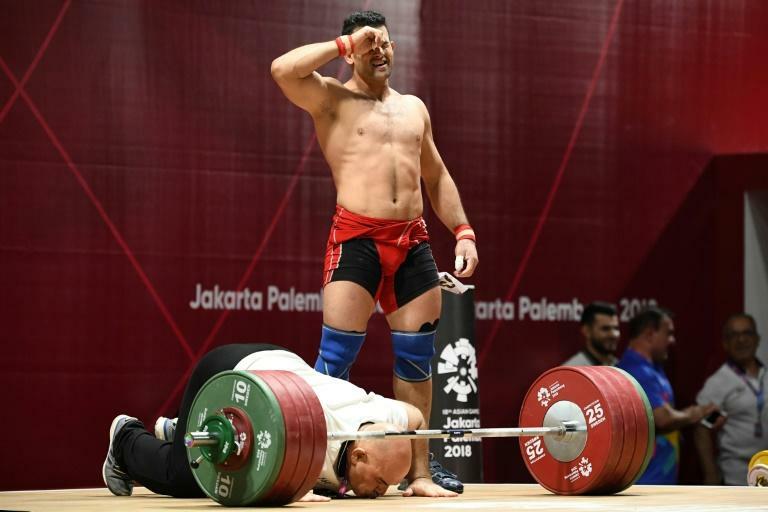 Weightlifter Safaa Aljumaili ripped off his shirt and roared in celebration as he won Iraq's first gold of the Games with a dramatic final lift in the men's 85kg. North Korea earlier reached a national best of five weightlifting golds when Kim Hyo Sim and Choe Hyo Sim went one-two in the women's 63kg class. Torokan Bagynbai Uulu won Kyrgyzstan's first gold medal since 2010 when he won the men's 69kg category in the Games' inaugural ju-jitsu competition. 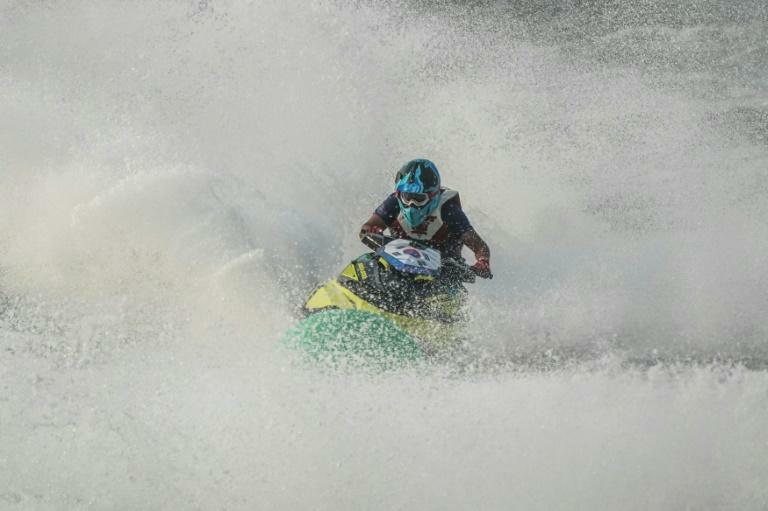 There was another first for the Games as UAE's Ali Allanjawi took the opening gold medal as jetski makes its debut. But Indian woes deepened in their traditional sport of kabaddi when its women's team lost in the final to Iran -- a day after their men's run of seven straight golds came to an end. In co-host city Palembang, Indonesia won their first ever rowing gold in the lightweight eight, a victory which crew member Tanzil Hadid dedicated to the newborn baby he is still yet to meet. Unified Korea, a team of North and South Korean rowers which is testament to warming ties, came fifth in the lightweight men's eight and last in the women's lightweight double sculls. In cycling, South Korea's Na Ah-reum added the women's time trial to her road race gold, becoming the first Games cyclist to win both distance titles. At the end of day six, China had a healthy lead on the medals table with 66 golds to Japan's 29 and South Korea's 23. About 17,000 athletes and officials are taking part in the 18th Asian Games, the biggest sports event in Indonesia's history.